The internet is a part of everyday life for most people in the UK - people spend more time online than they do asleep. Everything from televisions to kettles can connect to the internet. Over 90% of the population have at least some basic digital skills, allowing access to the economic, social and civic opportunities the internet presents - from finding recipes to filing tax returns, keeping in touch with family and keeping track of finances. But there’s a big difference between having skills - knowing how to use the internet - and having understanding - knowing the implications of using the internet. Digital understanding is not about being able to code, it’s about being able to cope. It is about adapting to, questioning and shaping the way technologies are changing the world. People Power and Technology : the 2018 Digital Understanding Report from Doteveryone sets out a definition of digital understanding, explores in depth the UK public’s understanding of technologies and exposes where the gaps lie. The report shows where there are currently low levels of public understanding around digital technologies. But it does not lay the blame for this at the door of the public. Digital understanding is dependent on digital technologies being understandable. At present they are not. People, Power and Technology is a challenge to those who create the products and services that people rely on to make understandability the building block of everyone’s digital experience. And it is a challenge to government to create and enforce standards of transparency and accountability for digital products and services. These actions must be supported with the public education needed to help close the understanding gap. 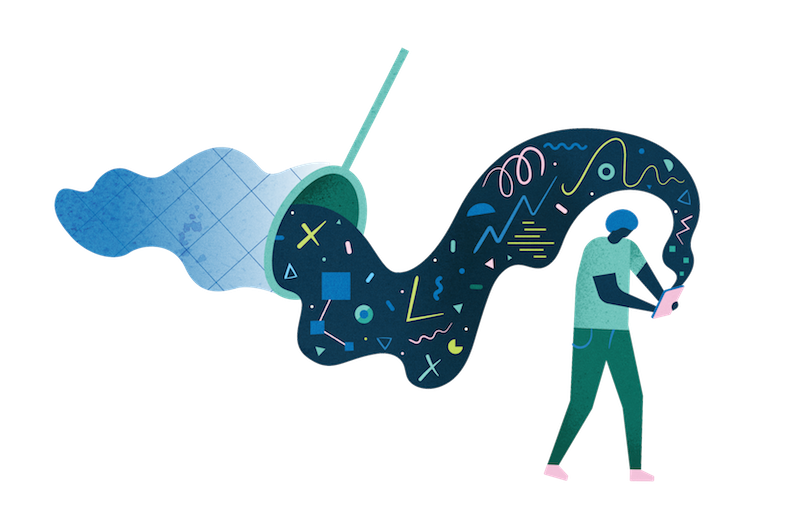 The first part of this report introduces Doteveryone’s Digital Understanding model which defines what it is that people need to comprehend so they can usefully harness technologies in different aspects of their lives. This research is based on a nationally representative survey of 2,000 people online and 500 by phone, backed by in-depth conversations in focus groups, which are quoted in this report. Findings from the research about public attitudes towards technologies have been published in People, Power and Technology: The 2018 Digital Attitudes Report. Much of the technology people use every day is designed to be as attractive and easy to use as possible. To quote the UK Government Design Principles, good digital products and services “do the hard work to make it simple”. But easy to use can be - ultimately - hard to understand. Simple, user-friendly smartphone interfaces mask the complexity and computational power that lie beneath. Everyone wants to plug in a new device and set it up straight away; few have the energy or capacity to take off the back and see how it works. As automation becomes more commonplace - and machine learning is used to make complex decisions - many products and services will become even faster, even easier to use and even harder to understand. But it is not just the technical complexity which is unseen - the implications of using technologies are also obscure. People do not need to be able to read the code behind Facebook - but they should expect to be able to know who has access to their data. They should not need to be able to unpick an algorithm - but they should be able to know if they’re paying a higher price than the next person. They should not need to be able to read a company’s accounts - but they should be aware that the app they are using is making money from their personal information. Digital understanding is about appreciating these impacts of technologies - how they shape people’s lives and society as a whole. As technologies adapt and change, and people’s needs adapt and change, digital understanding gives people the resilience to respond to those changes and to make technologies work for them. 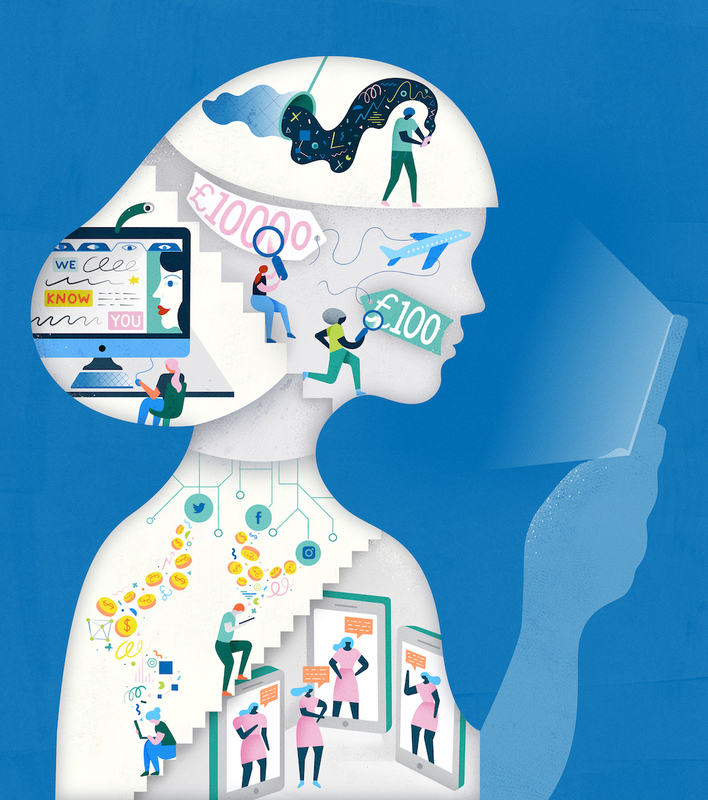 The digital skills which people need so they can use the internet are now recognised in the UK on a par with numeracy and literacy and there are established measurements to assess them. But the same has not been true for understanding. 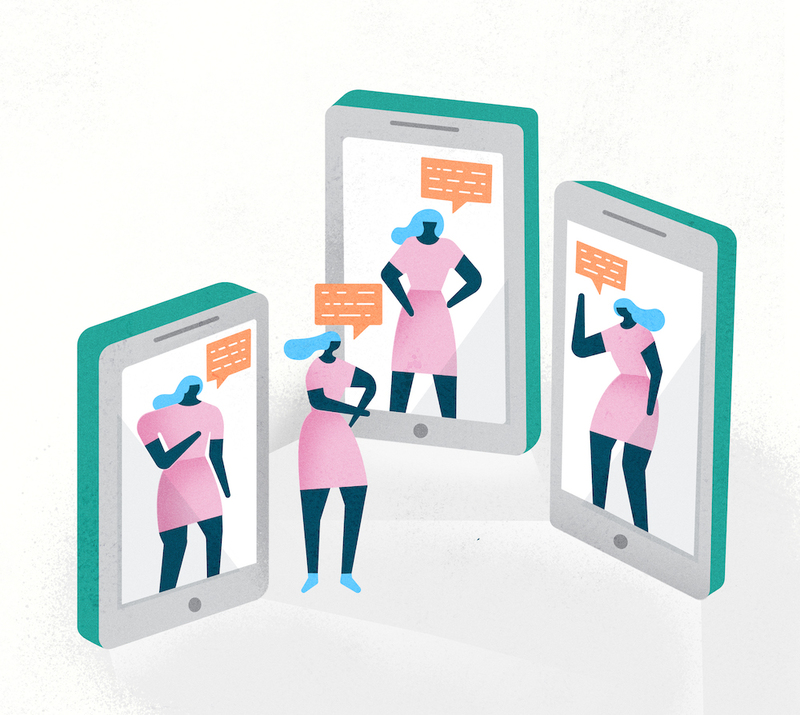 Doteveryone has now developed a model that defines what digital understanding means for people in practical ways that they can recognise in their own lives. We have split the definition into common roles: individual, consumer, worker and member of society, which are described in more detail below. Digital understanding is not a race to be won or a series of boxes to be ticked. What is important is that people grasp the implications of their use of technologies to a level that’s appropriate to their lives. So, if you are starting out on your career it’s important to understand how social media profiles can be viewed by prospective employers, if you’re on a limited budget it’s helpful to know how your browsing history can affect the prices you see, and if you are looking for love it’s good to be aware that not everyone online is who they seem. But it’s likely people will only need some of these things at any given point in their lives. 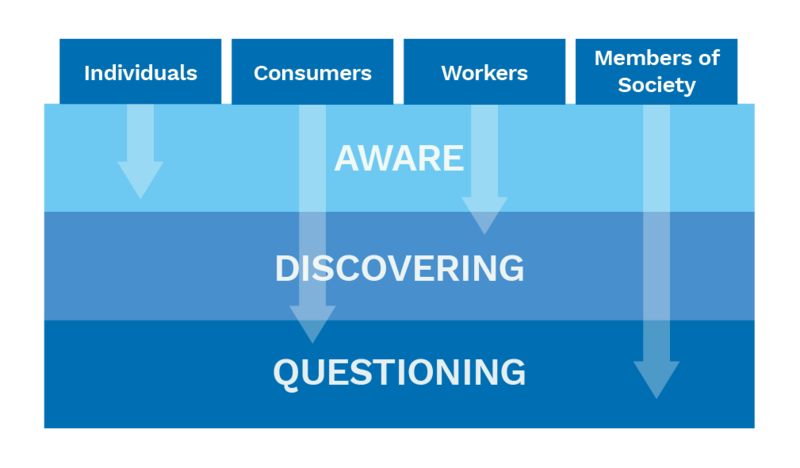 Our model shows how people can move from basic awareness to deeper questioning of the implications of technologies in each part of their lives as they need it. Download the full report for a table showing the level of public understanding across each of these categories, measured against our survey data. 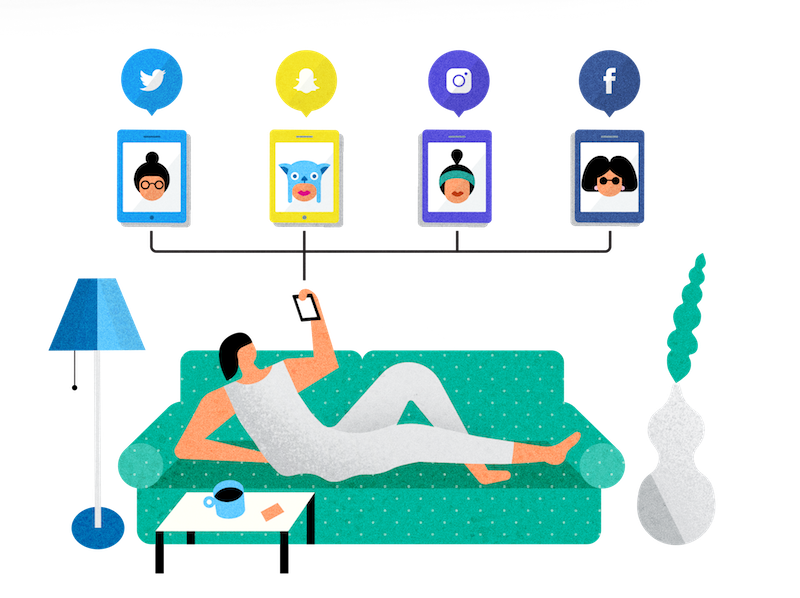 The internet presents opportunities for people to share information about themselves, connect with others and receive personalised services, tailored to their tastes and interests. But many find it disconcerting if they feel this personalisation has become an invasion of their privacy. The array of products and services available online remains a key driver of people’s use of the internet - almost three-quarters of people regularly shop or bank online, more than use social media or read news and information. People see these services as one of the great positives of the internet - 74% value the access to products and services, though 69% also worry it makes it easier for criminals to scam people. As consumers people need to understand the internet as a market, so they can make clear and confident decisions about how they use, buy and sell products and services. The internet has already transformed many people’s working lives and the pace of change is set to rapidly accelerate. There has been a great deal of attention paid to the digital skills gap the UK faces and the need to develop a skilled workforce to build the digital economy. But with the pervasiveness of internet technologies across every kind of workplace, almost everyone now has a ‘tech job’ to some extent. Understanding the role of technology in the world of work will help people negotiate their working lives in a time of rapid technological change. 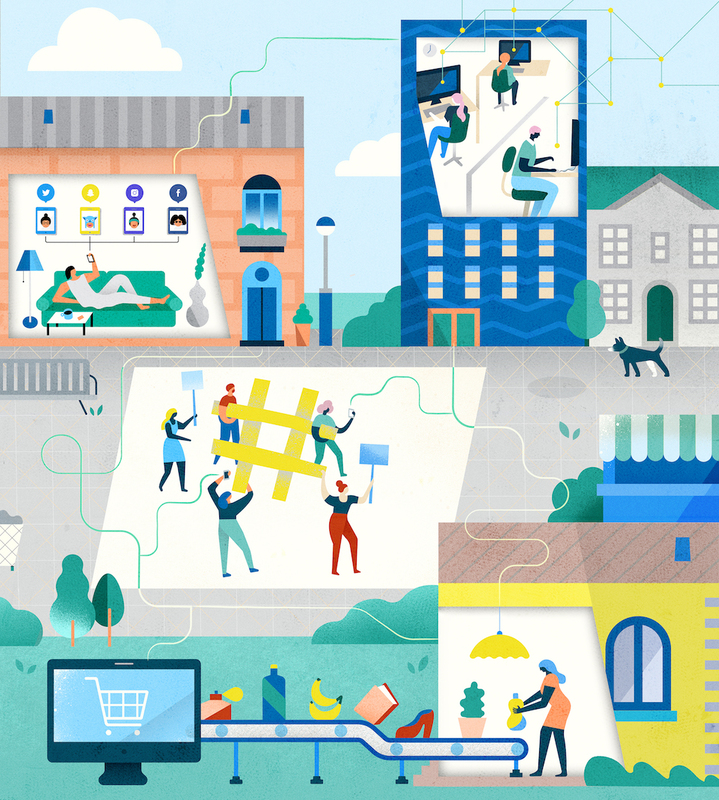 As workers people need to understand the internet’s role in their work and study so they can make the most of their time and skills, now and in the future. The internet has become a vital part of the public sphere. It is where people find their news and information, where elections are fought, where communities organise and campaigning takes root. 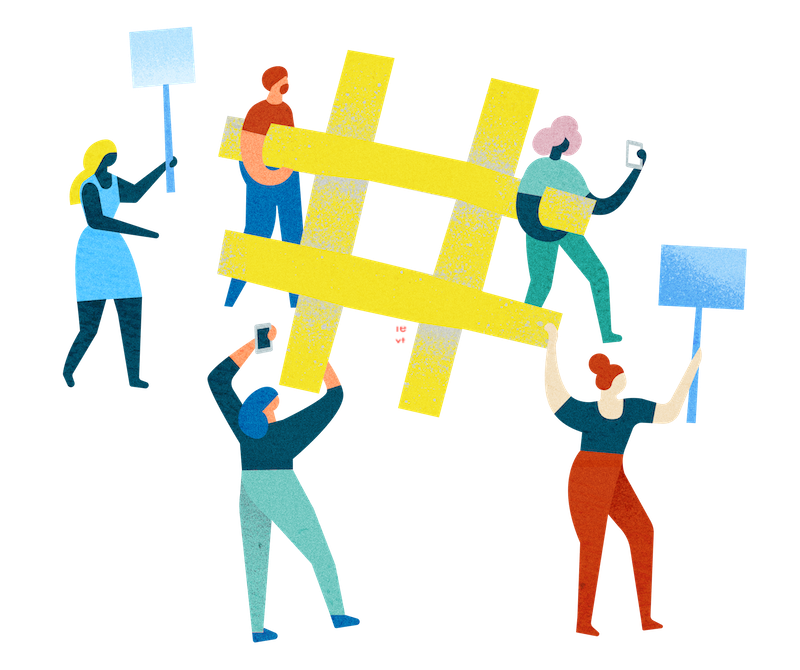 While some of society’s institutions are struggling to cope with the rapid pace of technological change, the internet also opens up new opportunities for people to engage in civic life. As members of society people need to understand the internet’s role in society and civic life, so they can better participate and challenge. Doteveryone’s digital understanding model shows how people can harness technologies by building awareness of how they affect them in the different aspects of their lives. But our research has also revealed five specific areas of the way digital technologies affect people that are particularly poorly understood. This part of the report highlights where these blindspots lie. Download the full report for a list of some steps which people can take to address them. Although we would encourage individuals to develop their awareness of these understanding gaps, we would stress that responsibility lies primarily with industry to make their products more understandable and with government to ensure there are standards which require companies to do so. Digital advertising is worth £11.4bn in the UK - more than half of the total advertising market. The internet has allowed advertisers to use the information which people leave behind when they use the internet to tailor their messages to individuals in ways that were never before possible. It’s estimated that 79% of digital advertising is programmed by software designed to do this. 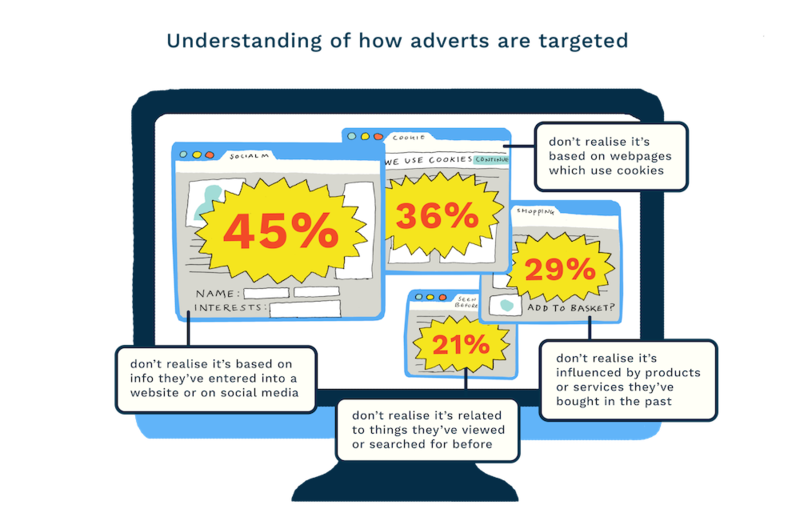 Doteveryone’s research has found that people find targeted advertising disconcerting and it makes them feel uneasy - 47% say they feel negatively about receiving it. People also have a very limited understanding about the way it operates. We found almost half are unaware the information they share on websites or social media can influence how adverts are targeted, almost a third don’t realise that the things they’ve bought before can affect what ads they see and a fifth haven’t noticed that they’ve received advertising based on what they’ve previously viewed or searched for. If people are able to better understand how targeted advertising reaches them, they can take steps to help control the kinds of advertising they receive. When using the internet, people leave behind information about themselves. 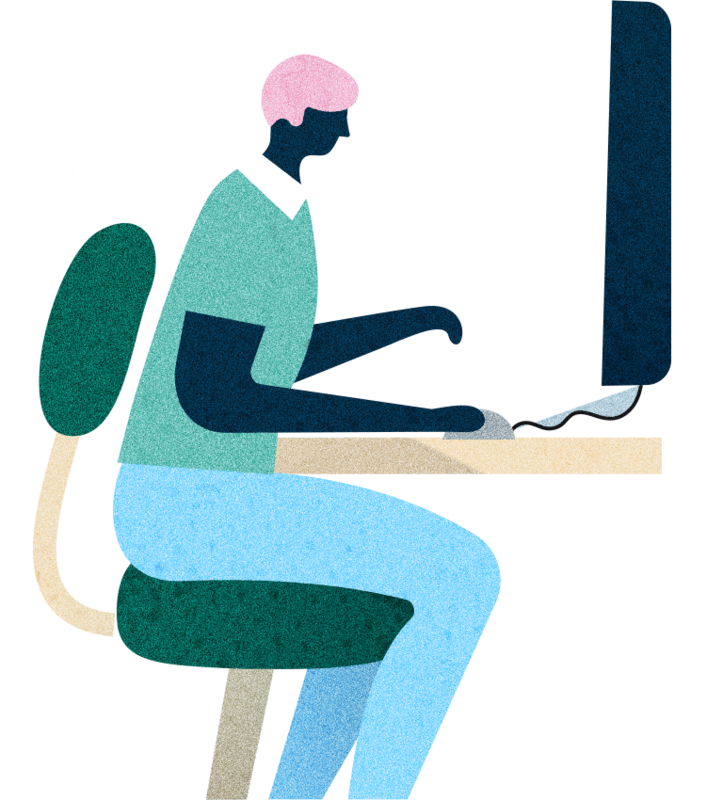 Sometimes they do this actively, for example by entering their name or email address on a form and sometimes passively, for example through the information about their internet connection shared by their computer. Doteveryone’s research has found that people care deeply about the use of their personal information - 95% say it’s important to know their data is secure, 94% say it’s important to know how their data is used. And they would like more control over it — 91% say it’s important to be able to choose how much data they share with companies, but half (51%) can’t currently find out that information. We found that people have little understanding of how companies collect data about them. 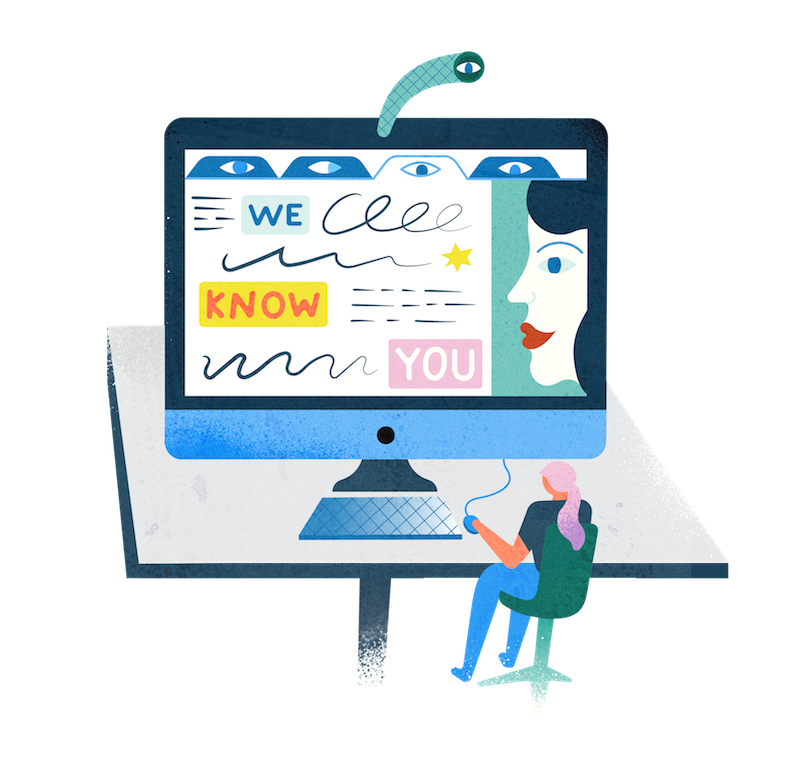 While around a third don’t realise that information about previous searches or purchases is collected, two-thirds are unaware that information about their internet connection is gathered and over 80% don’t realise that information which other people share about them is collected. The ways that data is collected are complex and individuals can’t always control how much information about them is gathered. We found 42% would like to do more to change their privacy settings but don’t know how and 25% feel there’s no point in doing so as companies will get round them anyway. However better understanding of data collection can help people make more informed choices and take some steps to make their data more secure. The internet has made shopping easy and convenient. Almost one fifth of UK retail spending is online - £1,230.2 million each week. But it can also make it hard to know how much things should cost. Some retailers can use information people leave behind on the internet to try to predict how much people are prepared to pay for something, and charge people different prices accordingly. 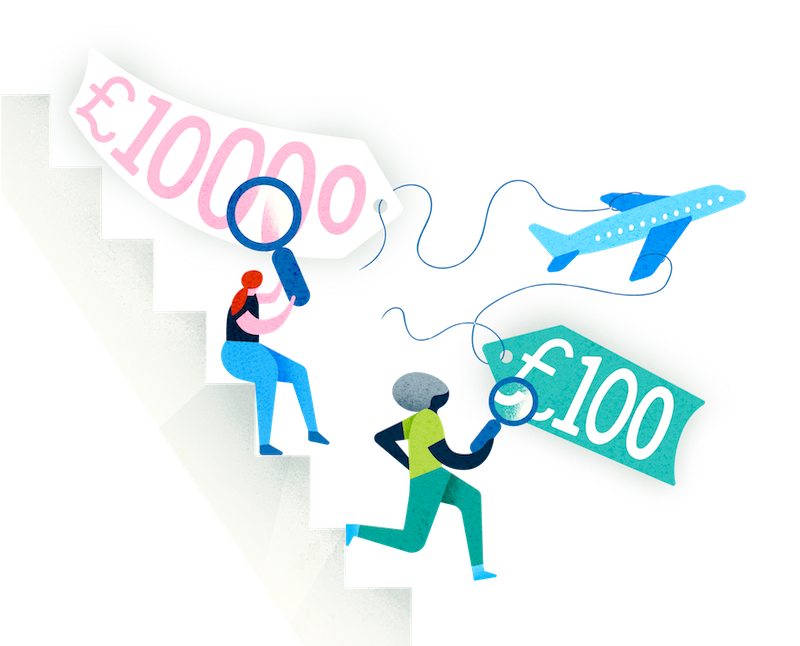 Although there has been some reporting of how a person’s browsing history can push up the cost of products such as flights online, Doteveryone found that there was very little awareness of this practice, known as dynamic or discriminatory pricing. Almost half (47%) have not noticed at all that prices vary when they search for them online. And only 21% are aware that data may be collected so that companies can determine the price they are charged for a product or service. Of those who have noticed prices increasing when they search for products online, around half (47%) believe the company is trying to encourage them to buy a product, 43% believe it’s because the company thinks they are willing to pay more, 33% believe its due to a change in availability and 32% believe it’s due to the number of people searching for a product at any particular time. With greater understanding of how this works, people may be able to take some simple steps to reduce their exposure to this kind of targeting. People love the internet for the access to information it offers. 67% of people regularly use the internet to search for and read information, including the news. 68% see the opportunity to learn and try new things as one of most positive effects of the internet. But the internet has also allowed misinformation to spread and can make it hard for people to know what to trust. Our research found there are high levels of distrust of news and content online. Only a third (31%) think most news websites and apps are trustworthy and accurate and 41% say some news websites and apps can’t be fully trusted but read them anyway. Personalised search results and social media feeds can also affect what information individuals see - creating ‘filter bubbles’ where people only see information which comes from a particular standpoint. 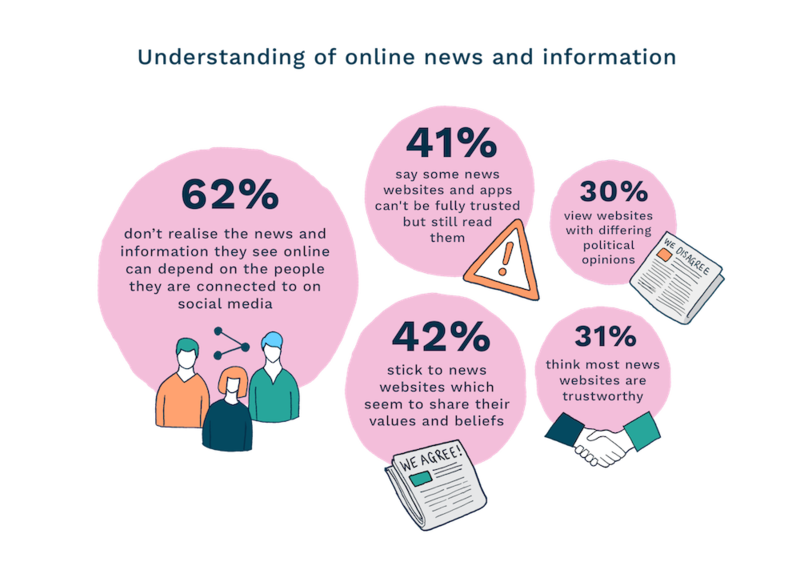 Two thirds of people (62%) are not aware that the news and information they see online can depend on the people they are connected to on social media. 42% say they stick to news websites and apps which appear to share their own values and beliefs while 30% say they make an effort to view websites with differing political standpoints. As the internet is a key source of information for public debate, it’s important people have the understanding to distinguish trustworthy content from misinformation. How tech companies make money is one of the least well understood areas of how the internet works. Almost a quarter (24%) of the population say they don’t know how online services are funded. Many services are free to use which can mask the operating model that lies behind them. 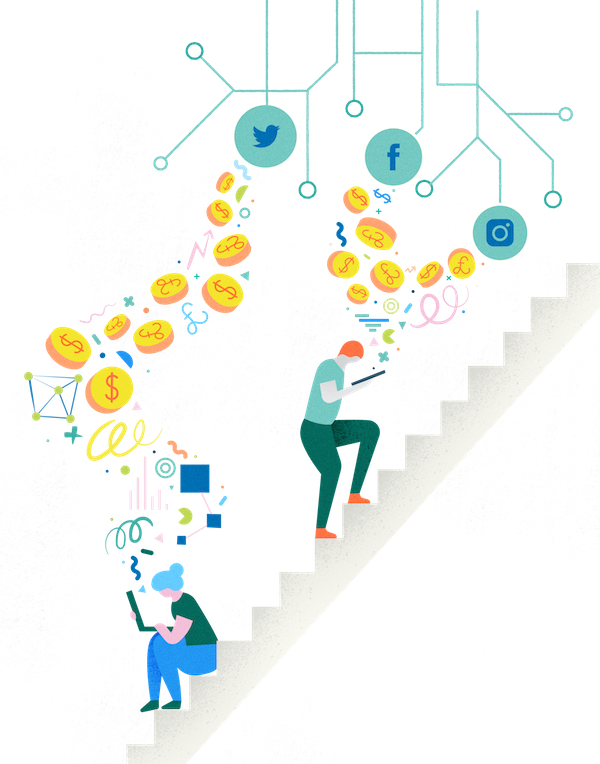 Often they are funded through complex combinations of digital advertising, data selling, endorsements and paid content so it’s not always clear where companies are making their money. While two-thirds (64%) recognise advertising as a source of revenue for search and social media (62%), only 8% are aware that paid content can help fund social media and only 25% that endorsements can help fund blogs and vlogs. 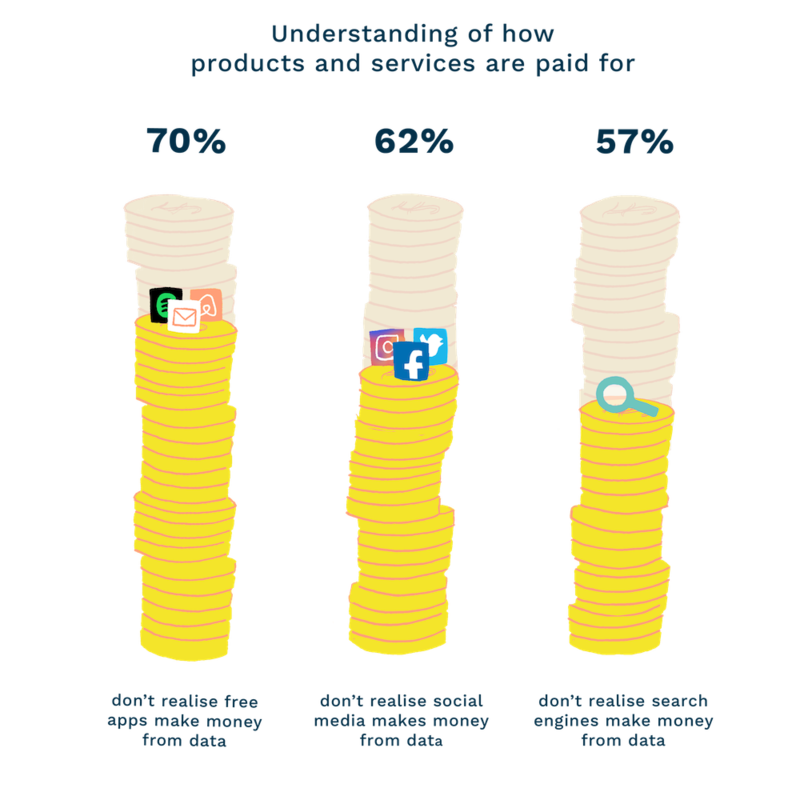 In particular, awareness of how services make money from data is very low with more than two-thirds (70%) unaware this applies to free-to-use apps, 62% to social media and 57% to search engines. When people clearly feel their personal information is important to them, it is only right they know that companies are able to get financial benefit from it. They should also be aware of the role endorsements and paid content can play in framing the content they see and read online.